Latex gloves are known for their great fit and tactile sensitivity. That's important when you're dealing with injuries, whether it's a skinned knee at home or a serious mishap in the workplace. 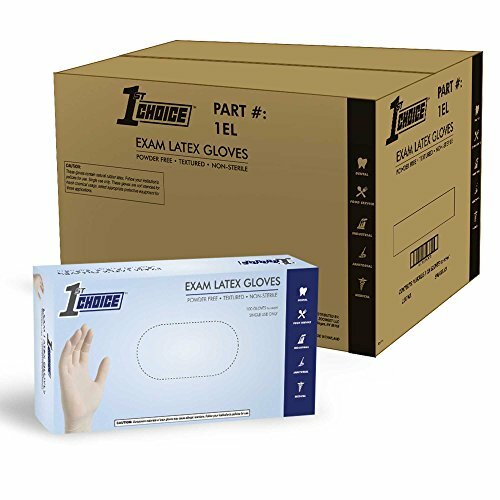 1st Choice Ivory Latex Exam Powder Free Disposable Gloves allow better touch and feel while giving you all the protection you need from blood-borne pathogens. Their textured surface makes for a dependable grip. They come at a phenomenal price, so you can stock up without breaking the budget. They also have dozens of other uses, from janitorial and sanitation to plumbing to food prep. Protect yourself with 1st Choice latex gloves. If you have any questions about this product by 1st Choice, contact us by completing and submitting the form below. If you are looking for a specif part number, please include it with your message.